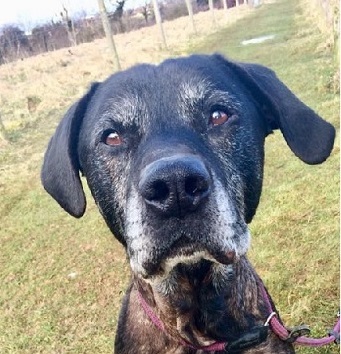 Please also consider our Overlooked Oldies- the dogs who have been patiently waiting for new homes longest of all. They desperately need homes of their own! You can submit an oldie for listing by our site editors here . We also have some non-oldie dogs who need very special homes due to mental or physical problems, listed in Other Special Dogs Needing Homes. Please consider them! If you are planning to adopt a dog and already own cats, you may want to read our article Dogs and Cats. 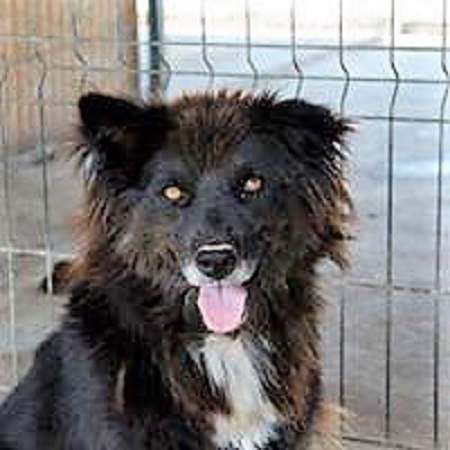 Beautiful Goga is looking for the loving home she deserves after a hard life in Romania. She is very friendly but needs time to regain her confidence and realise that there’s a lovely life for her out there. 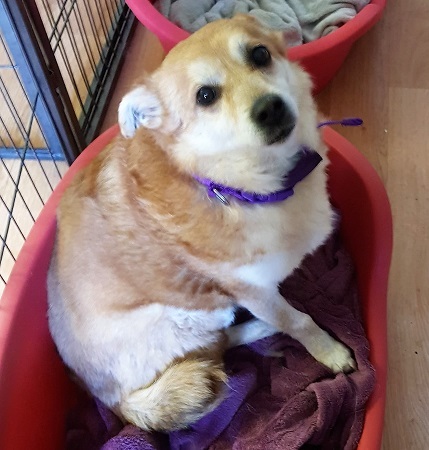 She’s fine with other dogs but would like a peaceful, retirement home to enjoy for the rest of her life. Sweet natured Vulpes gets on so well with all people and dogs. 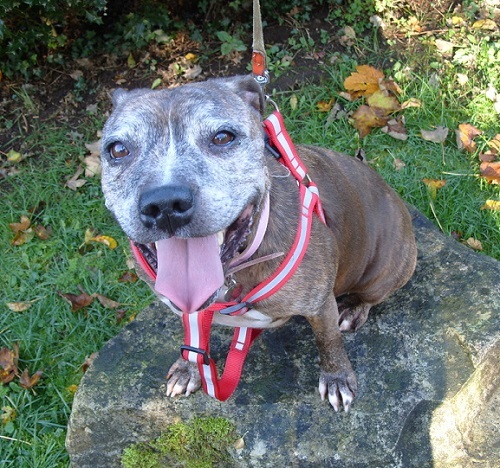 She’s very friendly and loves lots of fuss, rather having a cuddle than a walk. She walks nicely on the lead (and needs the exercise to trim her waistline). All she wants is to be showered with love. 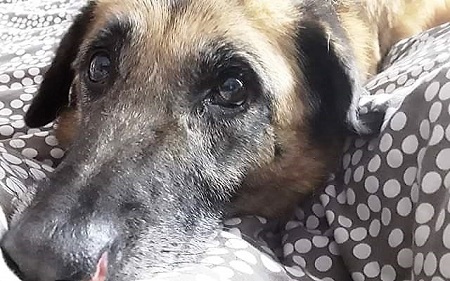 Rudi is so happy to be in a foster home after years in a cold, heartless shelter. 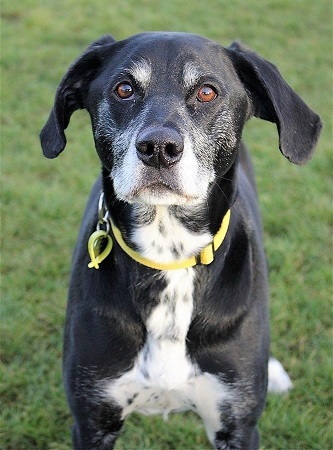 He has a tail that wags like a non-stop windmill and is described as an elderly gent with a cheeky grin and a heart of gold. He’s fine with the dogs in his foster home and now just needs a forever home. 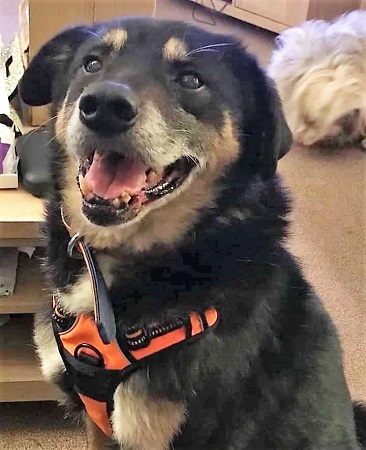 Happy Robin is a beautiful boy who is hoping for a relatively active home as he loves to go for nice walks and explore the world. He enjoys canine company and has a cheeky little side to his character. Bless him! Not just a pretty face, Tucker is funny, loving and charismatic. One of his favourite games is catching water from the shower head! 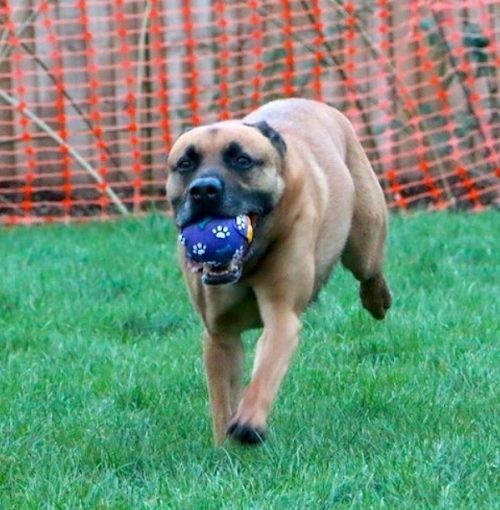 He’d love to live with other dogs, might be OK with cats, but is too bouncy for small children. He’s a playful, fuss-loving poppet. But, be warned, he’s good at opening fridges! Lovely Lyra has really blossomed since coming to the UK. She is a clever girl who likes to use her brain and she is affectionate and loving as well. With her polar-bear-like coat, she promises to be your loyal and cuddly best friend! 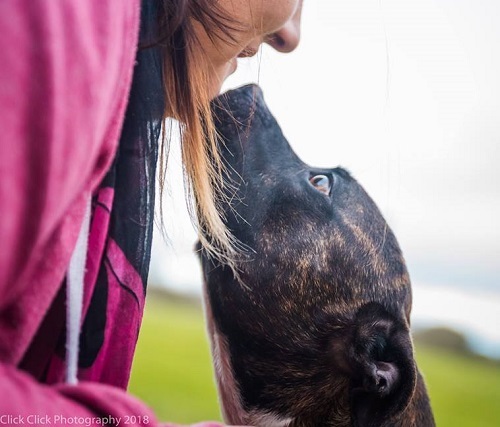 Gentle Roxy is a wonderful girl who gets on well with other dogs. She is very unhappy in kennels. 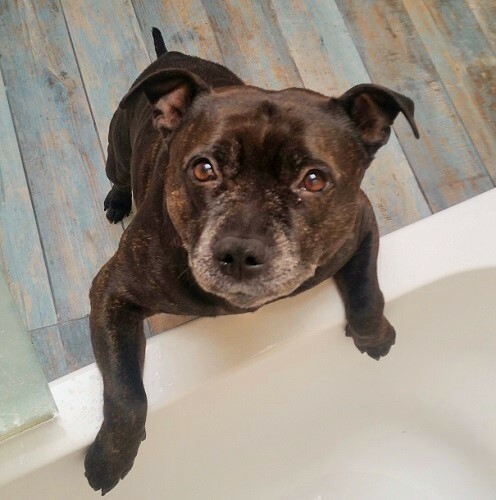 Could you offer Roxy a quiet home where she can relax and enjoy life again? 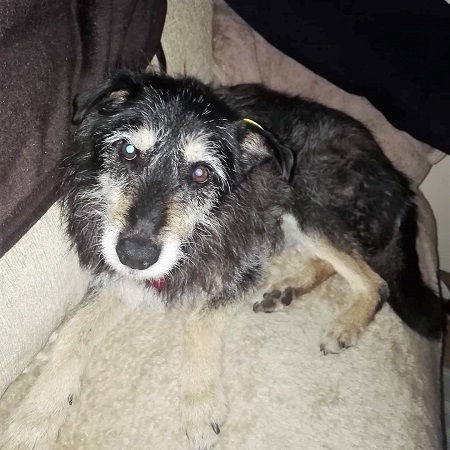 Jake has sadly lost his friend Marble the Lurcher. He’s now in a foster home but needs a forever home ASAP. 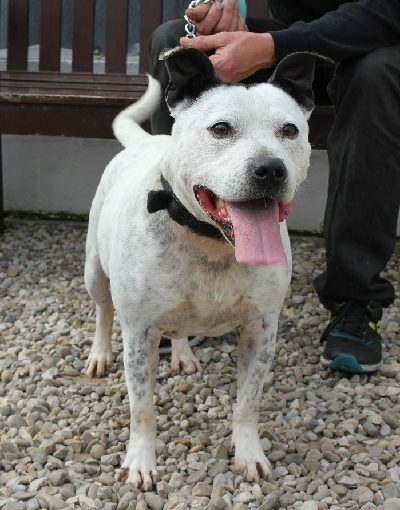 He is a very active, fun and affectionate boy who loves a snuggle on your lap. Could you offer him a home and lots of companionship? 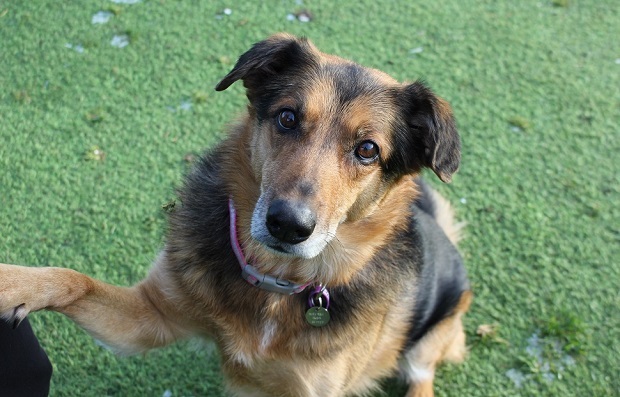 Bailey is a beautiful 8-year-old girl who is sad to be at Freshfields due to the ill-health of her beloved owner. 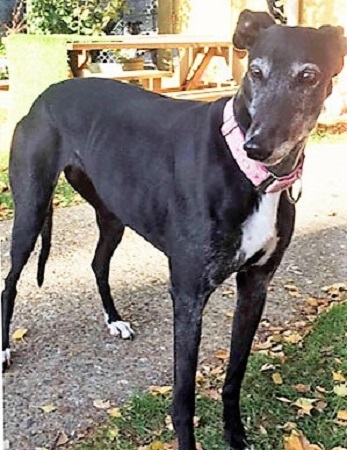 She is a friendly, sweet-natured girl who can live with older, sensible children. 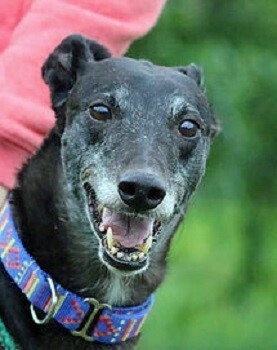 Fergie is a very friendly, gentle, quiet and sociable lady who loves a cuddle and snuggle on the sofa. She’s in foster care as an only dog but is fine with dogs outside. She’s used to children over 8 years and would prefer a cat-free home. She’s a gorgeous girl. 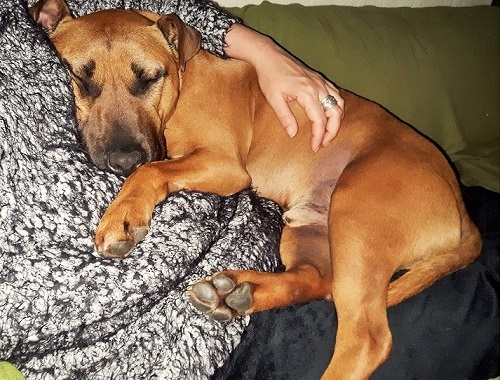 AJ is loving life in his foster home and they can’t praise him enough. He’s just enjoying life, his walks and is excellent on the lead. 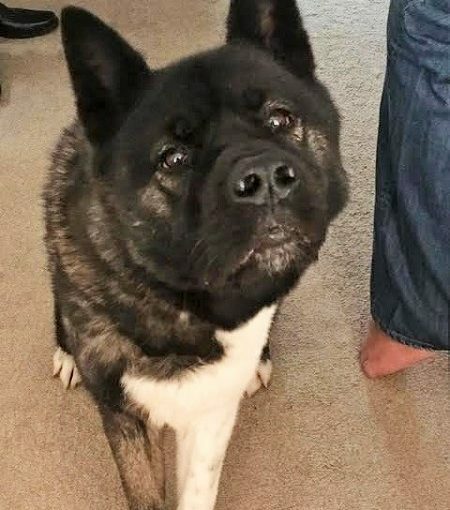 He loves other dogs and can live with older children. 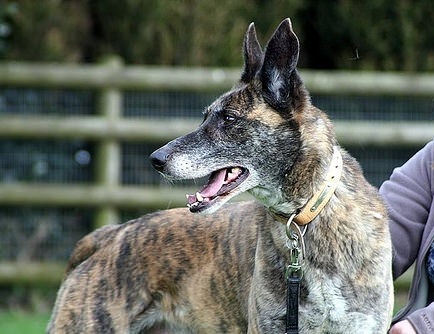 AJ will make an amazing family dog in the cosy, calm, forever home he deserves. Cute little Olly is extremely bright! He loves playing with toys and learning new things, with the aid of treats and fuss. He wants to be an only pet in an adult only home and he loves having company most of the time. He’s a super fun and loyal companion! 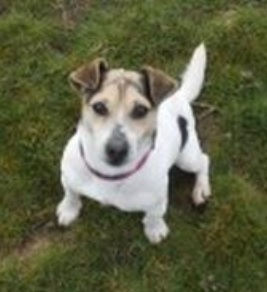 Sally is a little sweetheart who just wants to be someone’s beloved companion. She was left for most of the day by herself previously and so she now craves company. 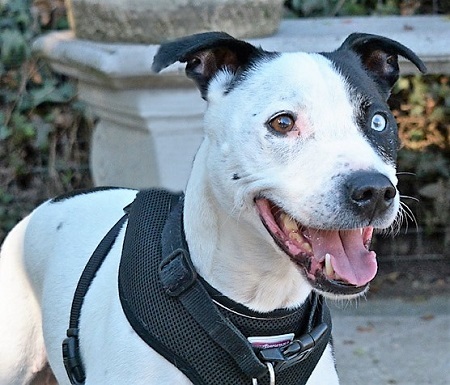 Could Sal be your new pal? 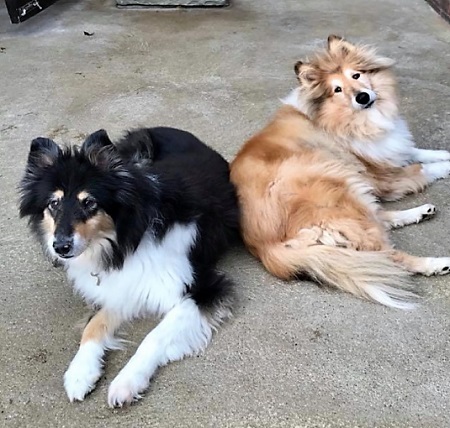 Bips and Dexter are a very handsome pair of Rough Collies looking for an adult, pet-free home. They enjoy lots of fuss, playing together and are a very sweet duo. They don’t require a lot of exercise and can be left. Aren’t they lovely? 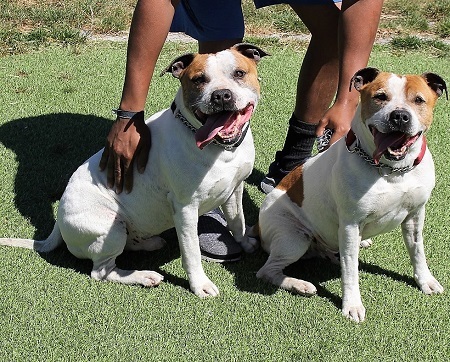 Rocky and Ruby are a cuddly, amusing duo who play tug with a toy between them. They can live with children of any age and need only short, quiet walks, or just playtime at home if you have a nice big garden. 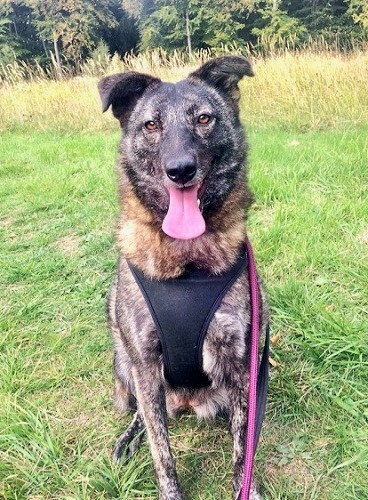 This gorgeous lady is looking for a quiet, adult only home with a canine companion for reassurance. 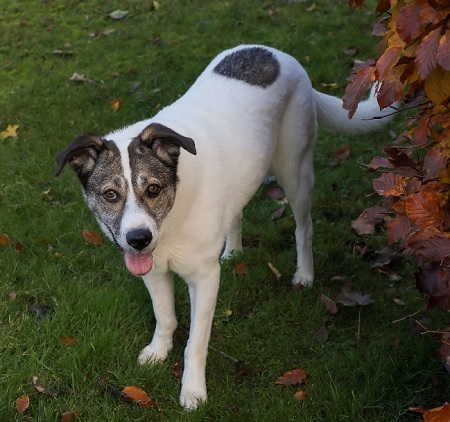 Ella is a cautious, shy girl but once she knows and trusts you, she’s very affectionate. Her favourite thing is exploring nature in good company. 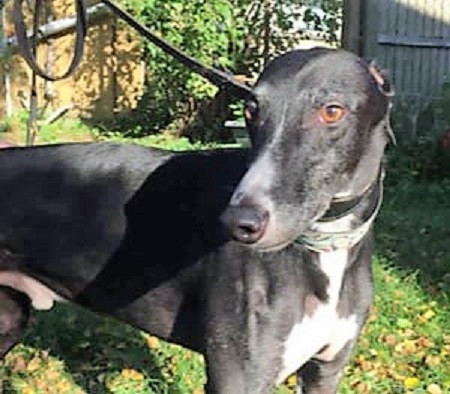 Dave is a gentle, cheerful boy who could live with children. More fuss for Dave! He loves getting out for walks where he’s friendly with humans and typically aloof with other dogs. He has the softest coat imaginable! 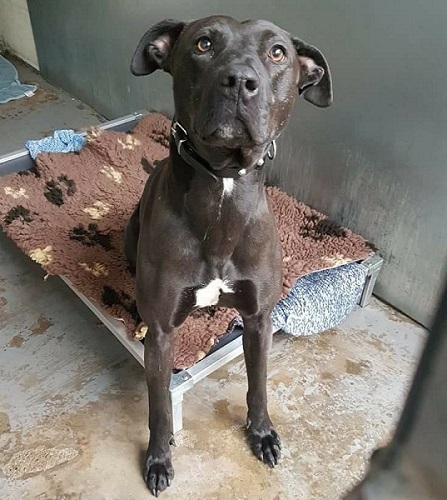 Zac is a friendly and loving boy. 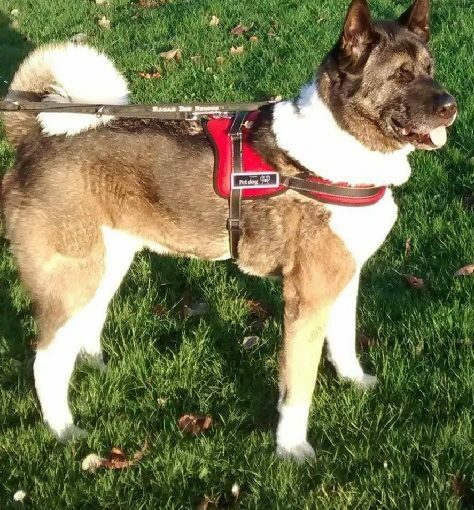 On walks, he’s good on the lead and calm around other dogs. He’d prefer to be an only dog at home. He’s been through some trials but is now read to love and be loved! 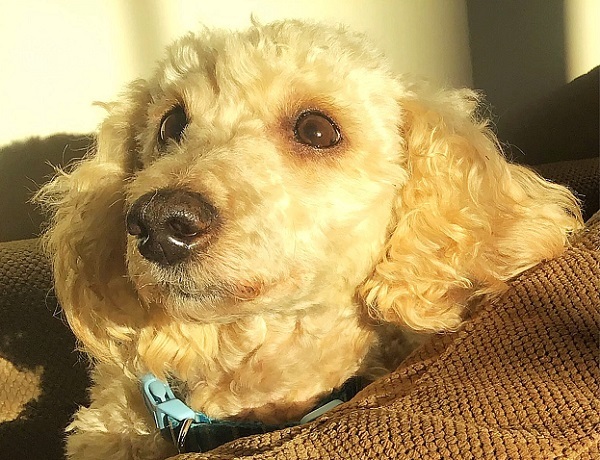 Louis is a young at heart miniature poodle looking for a quiet home with an experienced poodle person. He loves his walks and is good on the lead. Would Louis fit on your lap? 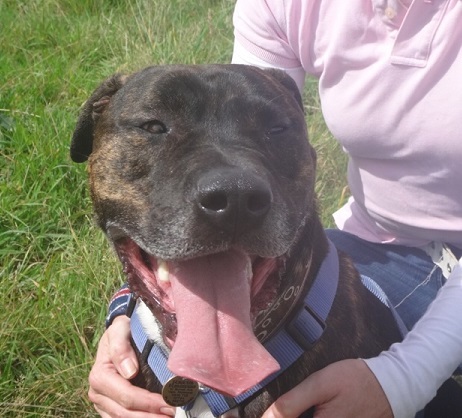 Loveable Dexter is super friendly with everyone! He likes a cuddle when he knows you and will graciously accept a treat and a tickle from anyone. He wants to be the only pet at home but could live with older children. He’s a happy, playful, biddable shnookums! 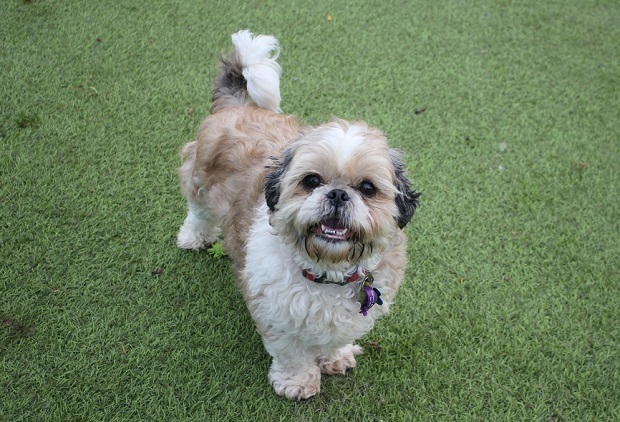 Ollie is gorgeous, but he needs a quiet, experienced Shih Tzu home with someone around most of the time. He needs to be your only pet and can’t live with or have visiting children. 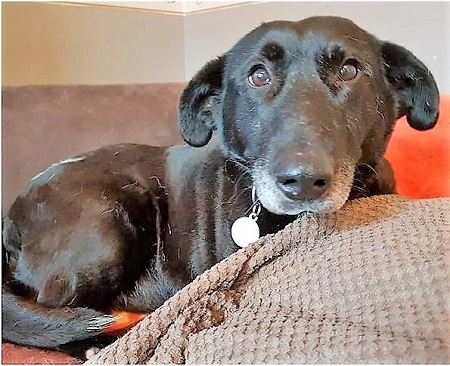 Sweet Emily was raced and then bred from, living her life in kennels with no creature comforts, and yet within one day at her foster home she was roaching on the sofa. Could this talented lady be your new best friend? Some people think Teona is strange looking due to her very short legs, but one person’s strange is another’s adorable! This affectionate, cheerful girl wants a female owner and would be happy living with a friendly male dog. She’s a strong little character, with strong little legs! 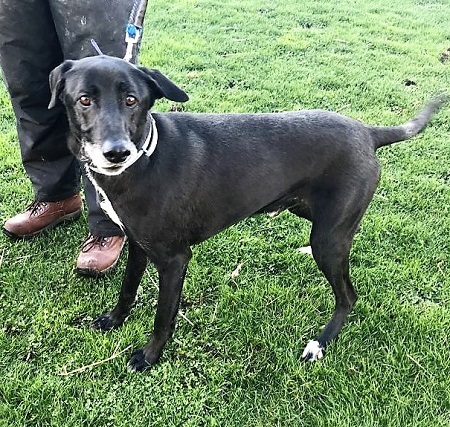 Happy Haro is an affectionate Lab Cross who loves people and snuggles on the sofa. He’d like to be the companion of an active older person, or in a family with older children. He wants to be your only pet but is OK with dogs out and about. 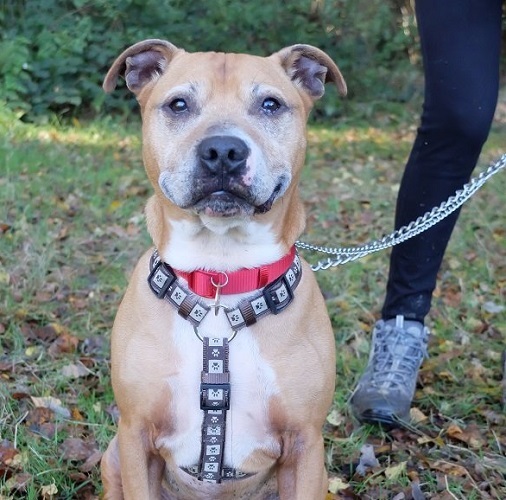 River is a friendly, affectionate boy and ever so well behaved! 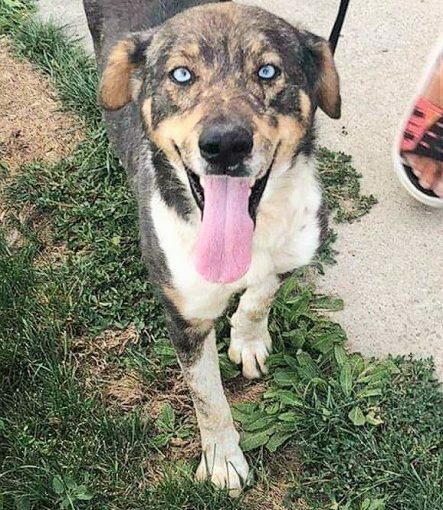 He’s good with other dogs and would love to have at least one doggy companion. He can only do short walks these days but he really enjoys them. His favourite thing is tummy rubs! This big, soppy boy is a true gentleman! He’s respectful of other dogs and would be happy living with a friendly female one. He can live with older children as well. He’s well behaved and relaxed in the home and is a real cuddle monster! Beautiful Blue is thrilled to have home comforts and happy outings with his other foster dog friends. 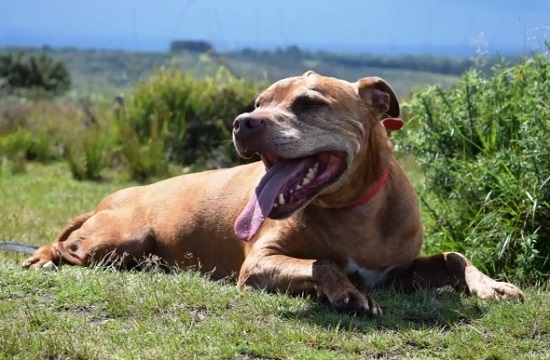 He just needs a home and human of his own now, to make his life complete. Yes to other dogs. No thank you to cats or children. Plenty of fuss is a must! 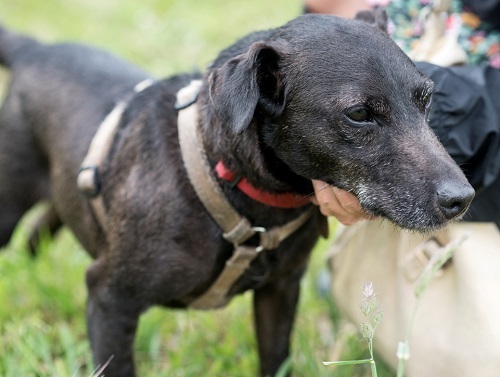 William considers himself a distinguished older gent looking for a long-term relationship in a forever home. He loves being stroked and brushed. He enjoys a long walk every day as he’s still an energetic boy. 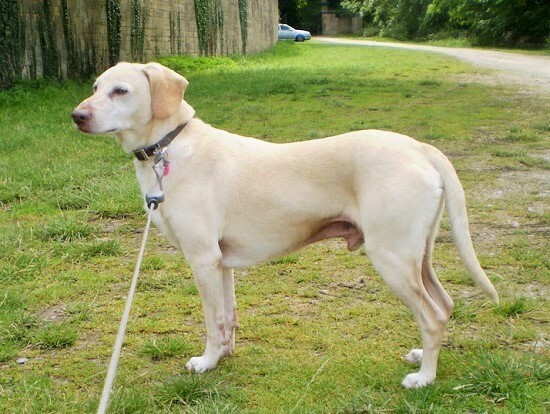 William is living with other dogs and is fine with dog-savvy children, but no small furries please. 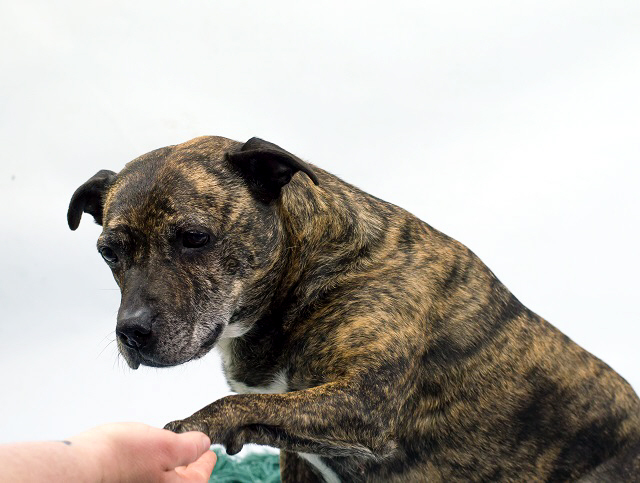 Rose needs lots of love and patience to help build up her confidence and trust, but she’s already learned that she loves a fuss and tummy rubs. She’s living with other dogs but can be wary of other dogs. All she needs is a lovely someone to show her how wonderful life can be. Albert loves the sofa .. for cuddles, being stroked, being brushed, in fact most things. He enjoys little walks and is okay on the lead. He’s currently living with other dogs and doesn’t show much interest in cats. 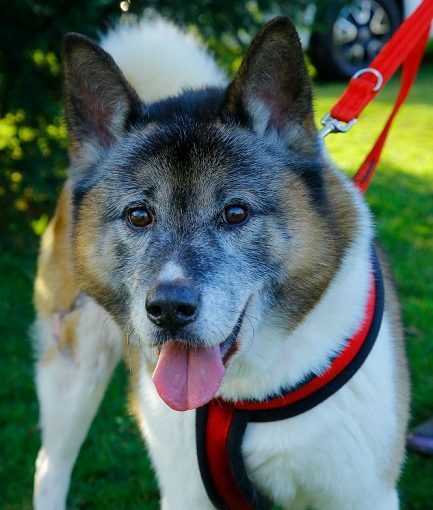 He would suit a home with older children who can give him lots of attention and treats. What a dutiful, beautiful boy Colin is! He’s utterly devoted to his people and friendly with everyone else too. He wants to be the only pet in an adult only home. He likes a game of fetch and really loves a fuss. He-is-a-big-soppy-BOY! Yes-he-IS! 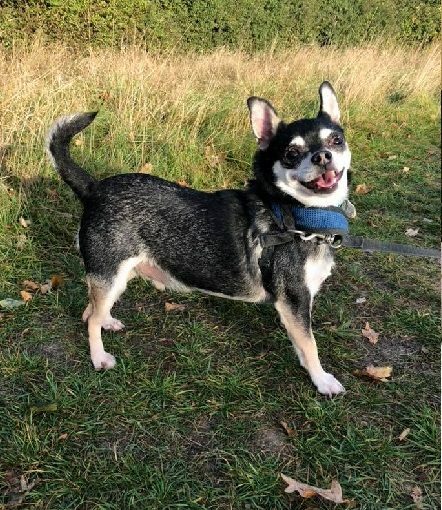 Cute little Barkley the Chihuahua is looking for a quiet home where any children are 10+. He loves walks, then is happy to sleep all day. He can live with another dog or be the only one to lap up all the attention. A cat-free home would be best. 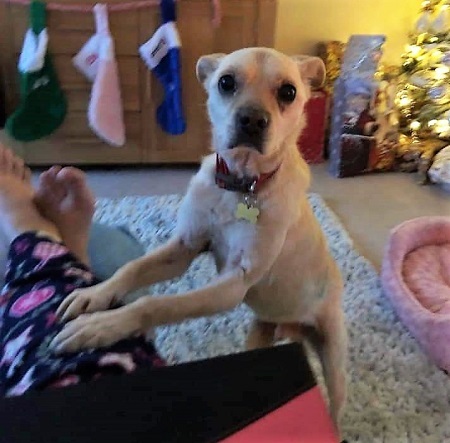 10/10/2018 Lovely and friendly Bowie is now reserved and will be off to his forever home very soon. 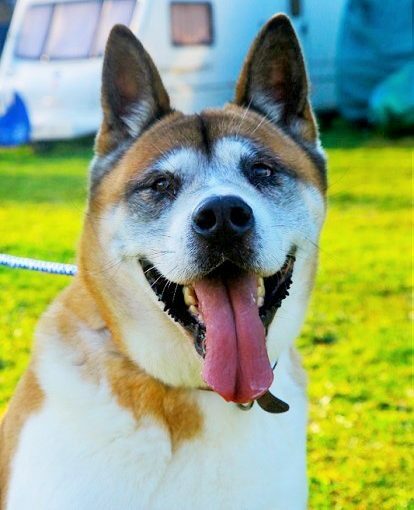 Enzo is a sweet, gentle, funny Akita boy who was found as a stray. He’s laid-back and loves being groomed and hugged. He’s not interested in other dogs and could live possibly with a female. Cuddly Enzo loves being outside and going for walks. 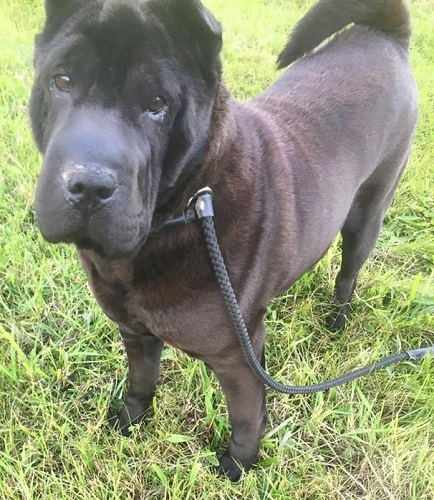 16/4/19 – Enzo still needs a home! Sunny by name and by nature. 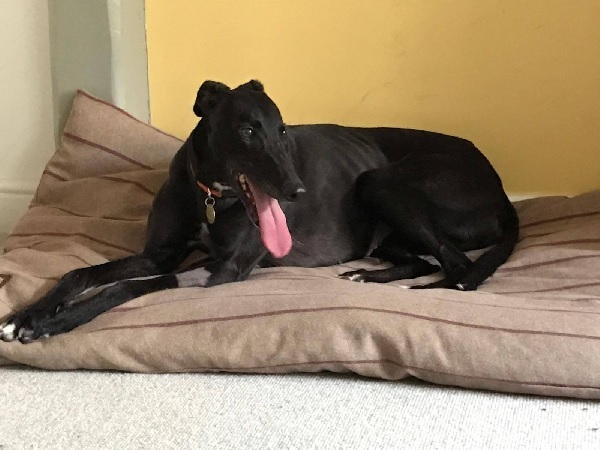 This big, pretty Greyhound girl is cheerful and playful. She would love to have a human and a sofa to call her own. She always looks elegant, even when lounging around, which she intends to do a lot! 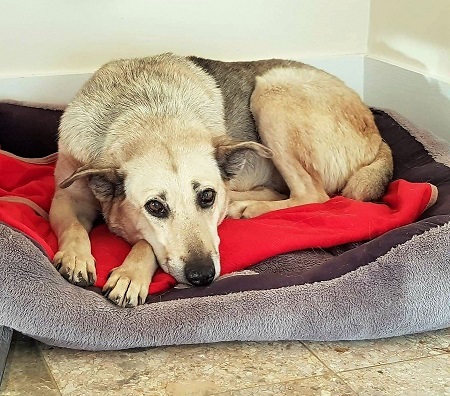 3/3/19 – Sunny still needs a home! Ocky is a wonderful boy with an exuberant nature. He gets a bit excited and giddy, but that’s part of his staffy charm! Good with dogs, he has lived with female dogs. 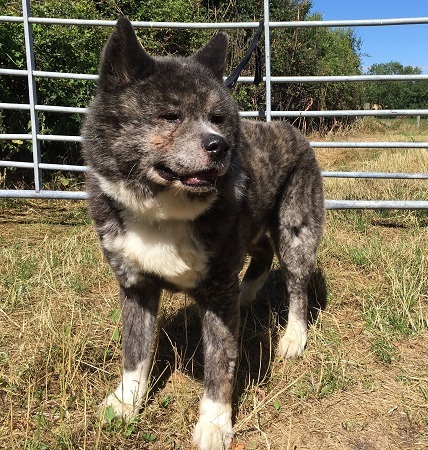 He can live with older children and will be a great family dog. 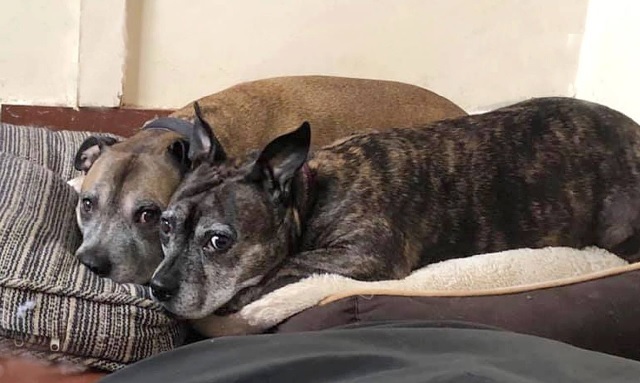 3/3/19 – Ocky still needs a home! Shrimp has a sunny, sociable nature. 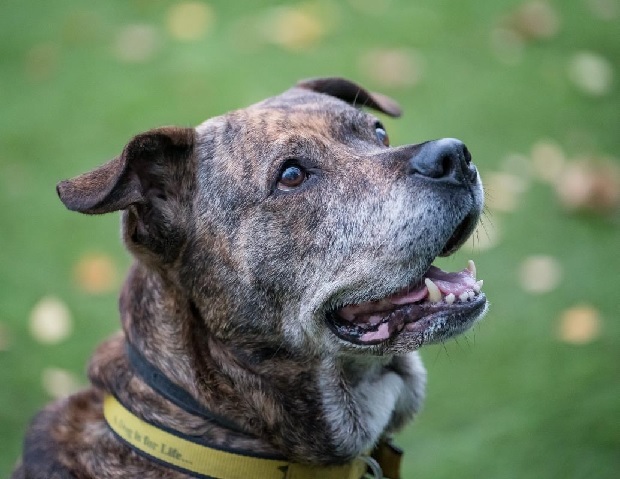 He’d love to live with at least one other dog as he’s used to living with five! He enjoys home comforts and good company. He’ll be a wonderful addition to any doggy family. 3/3/19 – Shrimp still needs a home! Yoshi is your best friend in waiting. His name means good luck in Japanese and he is a true good luck charm with his affectionate, gentle nature. He is an intelligent boy who loves human company and cuddles. Do you want a big, fluffy bear of a best friend? 3/3/19 – Still waiting! Snuggle-boy Buster is ever so soppy. Sometimes though his exuberance cannot be contained and he needs to express his ecstasy… by charging about and ripping up one of his toys. He’s funny, responsive and extremely cuddly! 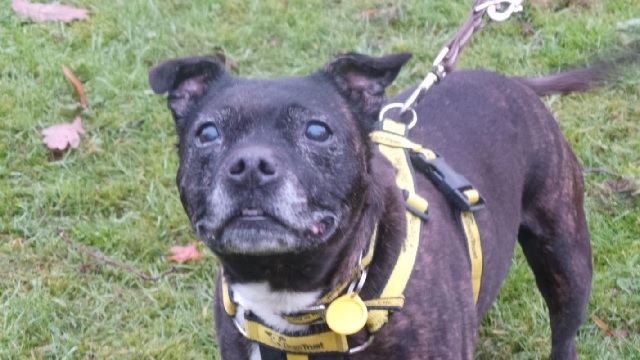 3/3/19 – Buster is still waiting! 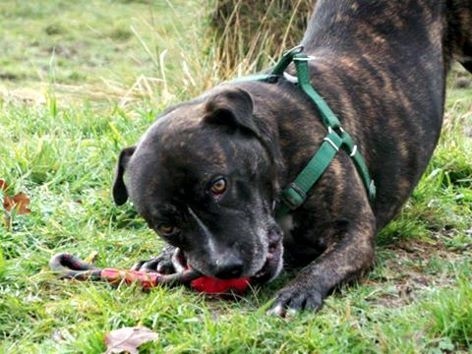 Ruben has been patiently waiting in kennels for months, making the most of any human contact that comes his way. 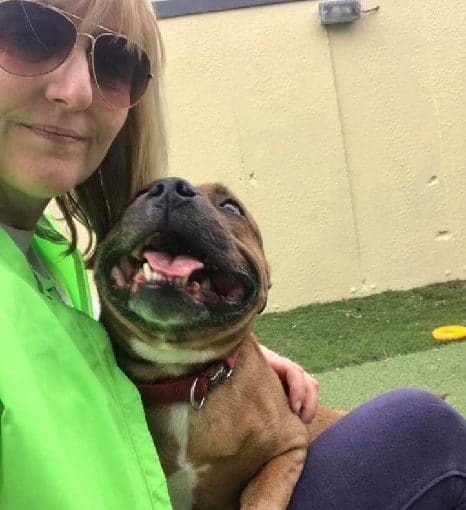 He’s a very good and loving boy who adores people and even gets on with cats! 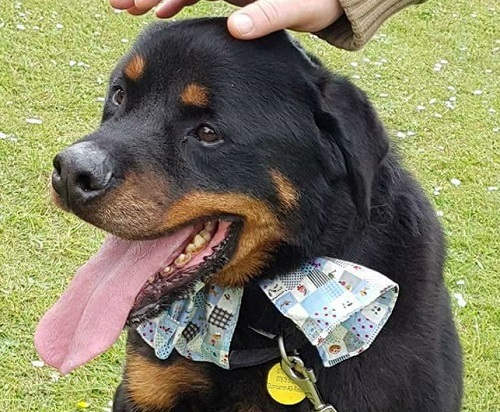 Big, soft and cuddly Ruben is desperate to be loved again. 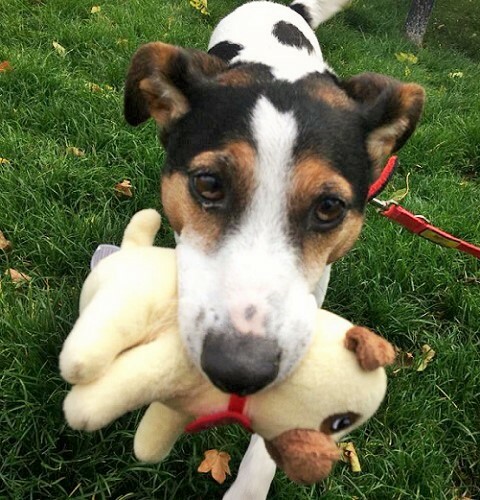 3/3/19 – Ruben still needs a home! 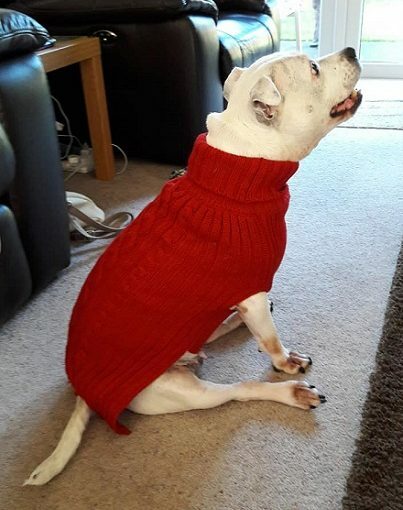 Freshfields say that Ozzie is the perfect gentleman and a very affectionate boy who loves attention and walks. Ozzie is looking for a rural, quiet home with an active owner. He will make a wonderful friend and companion. 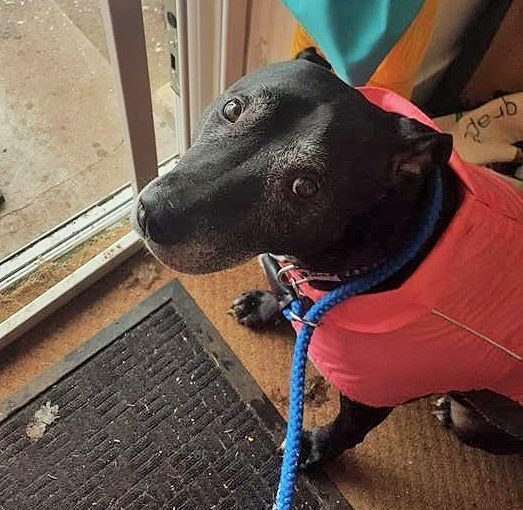 3/3/19 – Ozzie is still waiting! If you’re one of those lovely people that wants to offer a home to a dog that no-one else seems to notice, you could be the person for Mike. He’s an energetic boy who loves playing fetch. He also loves cuddles. 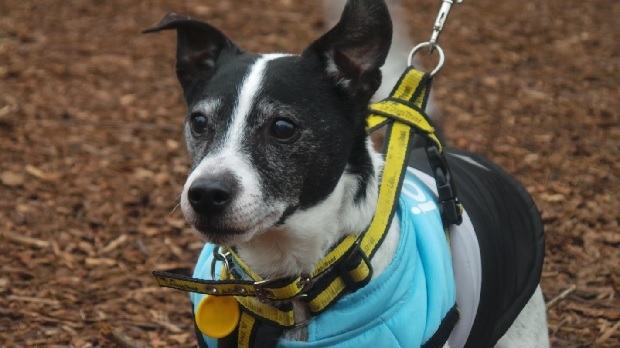 Mike will fill your life with love and fun if you just give him the chance… 3/3/19 – Mike is still waiting! 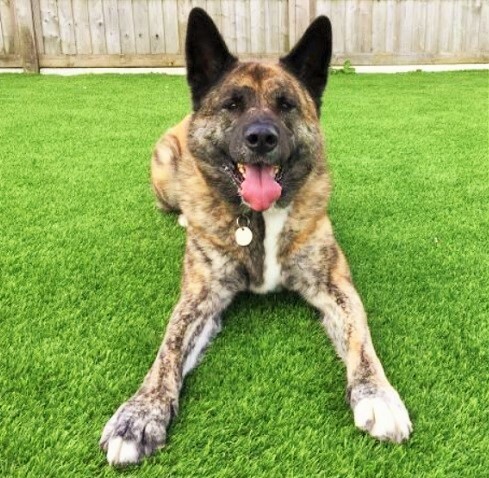 Buddy is a very handsome large crossbreed boy who loves chasing balls and frisbees. He would like to be your only pet but could live with teenagers aged 16+. 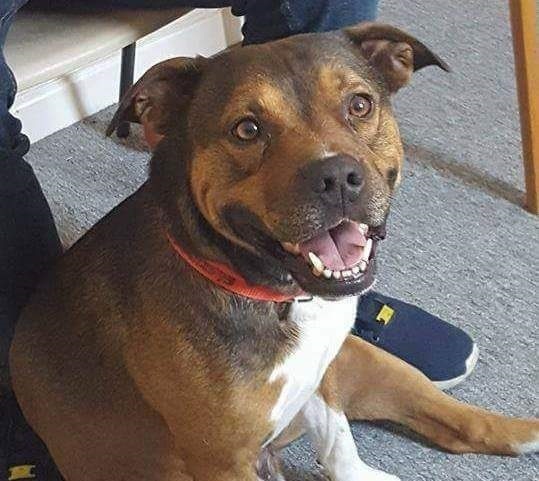 Could you offer fun-loving Buddy the home he has been waiting for? 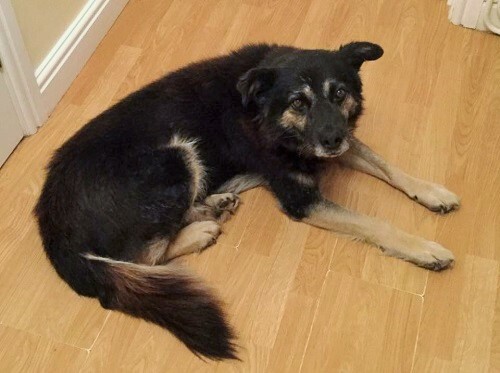 3/3/19 – Buddy is still waiting! 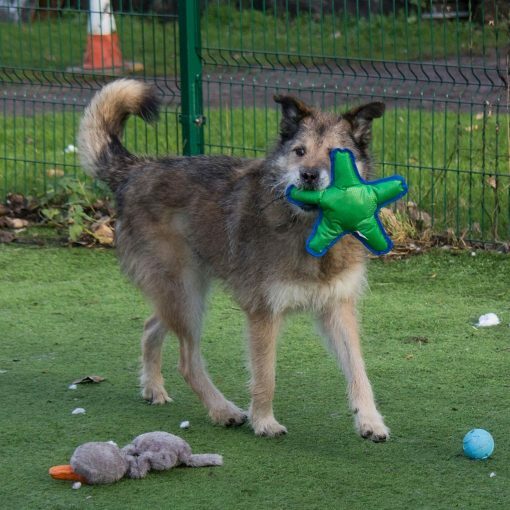 Chuckie is a loyal Lurcher x Shepherd boy who gets overlooked because he is older, and yet he doesn’t act like an old dog at all. He likes children and he could live with a mature female dog. Chuckie’s so fed up of waiting in kennels – is he waiting for you? 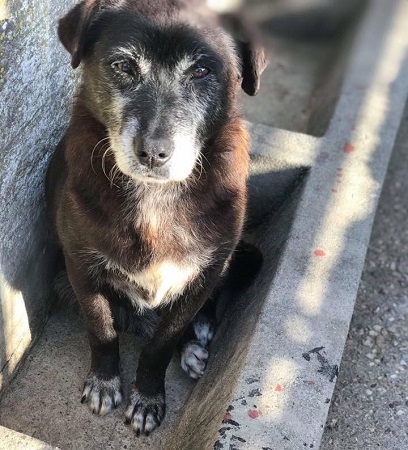 3/3/19 – Chuckie still needs a home! Little William’s dad passed away and he’s now looking for an experienced and understanding adult-only home. He’s led an insular life and arrived in rescue very underweight so food is an issue with him. 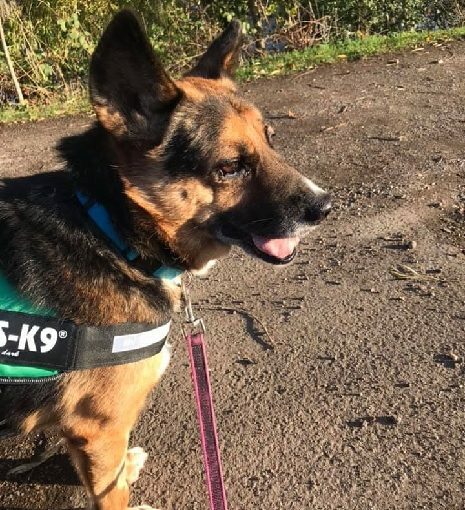 He loves his walks and deserves a happy, forever home. 3/3/19 – William is still waiting!